WhatsApp is one of the most popular messaging apps on the planet, so even small changes warrant some attention. This isn’t a small change, though. This is a big one. 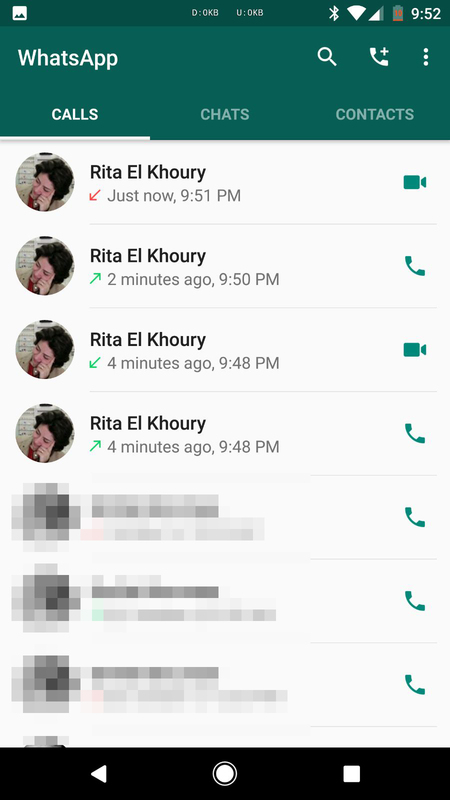 WhatsApp is rolling out support for video calls in the Android app, but not everyone has the feature yet. Video calls are becoming available seemingly at random. You won’t need an app update as long as you’re on one of the recent beta versions (people are reporting success on a few builds). If the person on the other end doesn’t have video calling enabled yet they’ll just get a voice call. You’ll still be able to see the video calling UI, though. 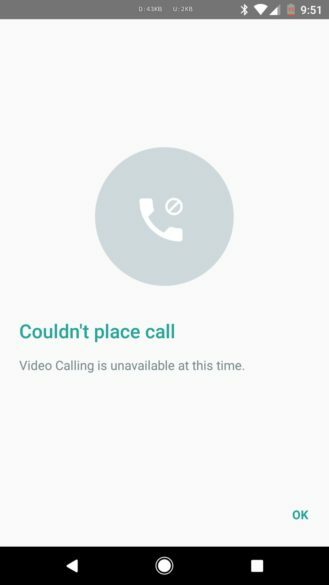 The call log shows that as a video call, but tapping the video button just pulls up an error message (below). 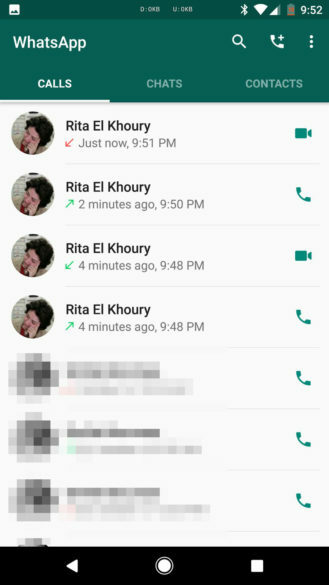 When you have video calling, tapping the call button or contact card brings up a dialog with both voice and video as options. There may be a version of the app later that flips the switch on video calls automatically, but for now you’re at the mercy of the WhatsApp gods.